WA Transport Magazine: Recently, a Perth-based project won the “Award for Spatial Enablement” at the SIBA|GITA Spatial Excellence Award. Esri Australia were responsible for the development and implementation of the “Smarter Planning Perth” project which solved issues associated with poor road and major infrastructure planning. Various groups of stakeholders are subject to frustrations and poor outcomes of baring witness to road and other major infrastructure being built, then almost immediately ripped up for other infrastructure works. In essence, “Smarter Planning Perth” identifies the lack of coordination problem, in terms of both technology and communications, the use of spatial is then shown as the solution; with details on what is produced, the advantages, and who benefits. It provides a great tool to empower government agencies to coordinate and improve the public perception of these organisations on potentially very public and disruptive projects – impacts of which are heavily felt by the transport industry. This is in addition to the no doubt significant efficiencies and cost savings through cooperation between agencies on major works. So, this raises the very curious question – what is spatial, how can it be used in the transport industry, and what are its benefits? We recently caught up with SIBA|GITA CEO Deanna Hutchinson to gain a better understanding of these questions! Spatial information deals with the position, area and size of things. We often interact with spatial information using a map or model of the things we are concerned with. Much spatial information is about geography, and focusses on things that are on or near the Earth’s surface. However, new technologies are making it easier for spatial skills and technologies to be used in other ways, like mapping the damage to layers of skin in third degree burns. We use spatial information to understand what is happening, and how doing things differently will improve outcomes. Spatial information is a broad term for referring to the skills, data and technologies used to create, analyse, manage, interpret and connect information about where things are. Spatial information is at the heart of big data, and is believed to make up about 80% of the world’s information. HOW DOES SPATIAL INFORMATION HELP EVERYDAY BUSINESSES? Spatial information helps to automate certain information processes, helping us to reach answers sooner and with more certainty. Questions like – what’s the most efficient route for the courier driver given the deliveries for the day, and how should the truck be loaded? Its benefits are infinite and yet to be fully understood. CAN ANYONE JUST DO IT? In a way, yes. We use spatial information every time we use a map or a GPS. We create spatial information every time we record our Blocation, either by scanning a device (eg, travel cards, paypass) or “checking in” on Facebook. We think about spatial attributes of objects when we estimate whether there’s enough room in the car for everyone and their luggage. We can also use a variety of tools to create our own maps. And, like most fields, there is a level of professional expertise that provides answers to business questions every day. Spatial professionals analyse what’s happening using techniques including photogrammetry and spectral analysis, or write complex computer programs to detect changes in the environment like subsidence, or count large numbers of objects in an area like crowds of people, or measure the height or length of things. We expect that in the next five years, more people will be doing more of the complex spatial analysis as more spatial questions are asked and more tools become available to help answer them. HOW IS SPATIAL INFORMATION HOW IS SPATIAL INFORMATION USED IN THE TRANSPORT INDUSTRY? 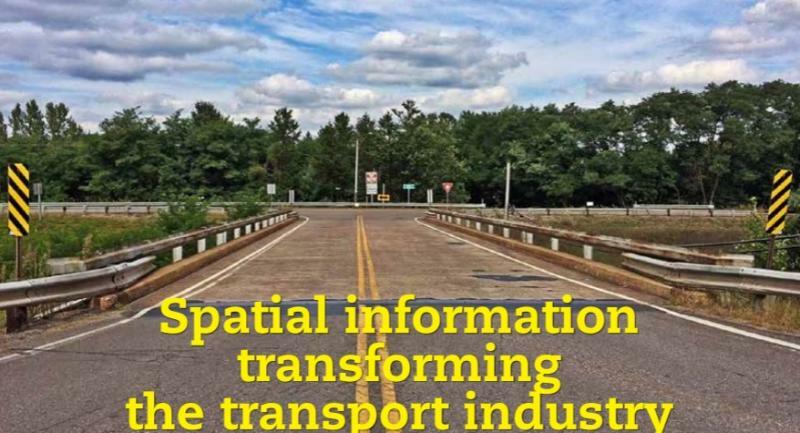 Spatial information is used in the design, construction and operation of roads, rail, shipping and air traffic. It’s used to plan transport infrastructure by informing where people travel, at what time, using what mode. It helps keep us safe by directing signalling systems to manage traffic flows, and aids in the planning of maintenance. It drives our positioning systems (GPS, and in the future autonomous vehicles). It is the information that is passed from sensors to dashboards telling drivers something is getting close. It ensures that we know where the containers are that were just unloaded from the ship. WHAT ARE SOME BEST PRACTICE EXAMPLES THAT YOU KNOW OF? Because spatial information often involves aggregating information from multiple sources, great examples are centred around collaboration like the winner of the SIBA|GITA Western Australian Spatial Excellence Award for Spatial Enablement, Smarter Planning Perth, by Esri Australia which brings together information from City of Perth, Western Australia Planning Department, and Water Corporation to help with scheduling and information sharing of works projects in Perth. 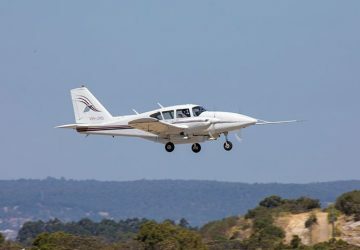 Also, the winner of the Technical Excellence Award which may see the manual surveying of passengers to determine travel patterns become a thing of the past after the application of innovative spatial technology to a transport project in Western Australia. This project, delivered by Jacobs for the Public Transport Authority of Western Australia, determined the travelling patterns of passengers for train stations within catchments of the Perth Public Transport Network. WHY DOES SIBA|GITA BELIEVE IN THE FUTURE OF SPATIAL IN THE TRANSPORT INDUSTRY? more efficiently. Machine learning, cloud computing, improved sensors and positioning technology are changing the game for what we can measure cost effectively, and quickly. This means spatial information is fast becoming an everyday tool for all businesses.